The world tells us we need to be “perfect.” It heaps on the pressure. It tempts us to hustle for approval and praise. But I’m learning this: The breaks in our “perfect” facades are actually more like windows where people can most clearly see Jesus. We do not need to have life all together. We just need to come together as we are. We do not need to be flawless. We just need to be faithful and try again. We do not need an “image.” We just need a God who can transform us in ways beyond what we can imagine. We are all a wild mix of beautiful and broken. Shattered and whole. Weak and strong. We are beloved daughters of a God who treasures us more than we know. He sees us as we are and graciously loves us still—let’s dare to do the same for ourselves and each other. P.S. 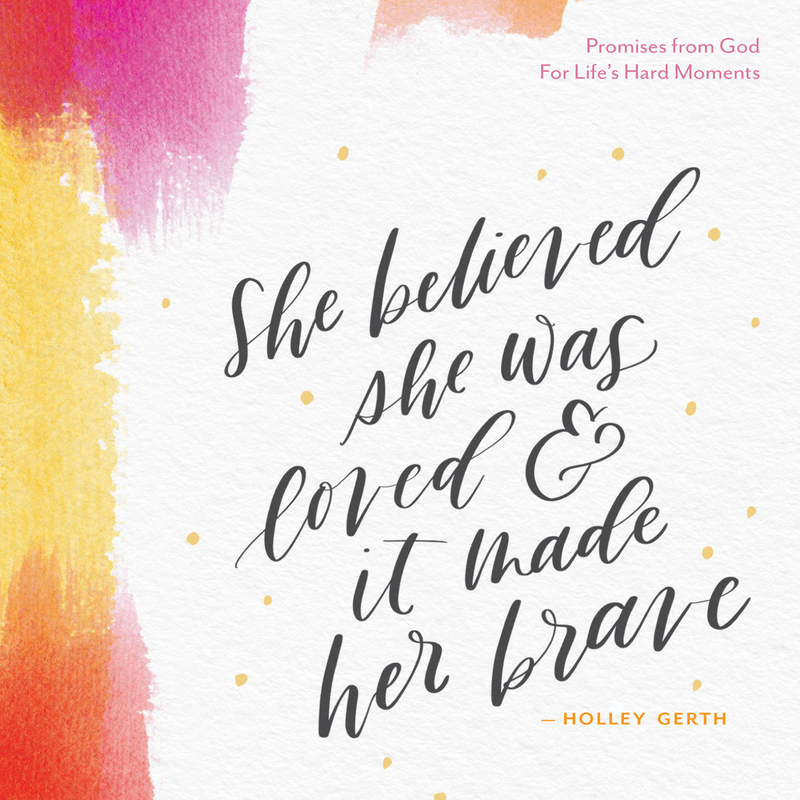 This post is an excerpt from my new gift book, Promises from God for Life’s Hard Moments, and the graphic is from the cover of the new She Believed She Was Loved and It Made Her Brave journal! Both launched this week and you can find them wherever books are sold. What wonderful encouragement. Love does make us brave, doesn’t it! We find ourselves being brave for so many reasons, both good and slightly warped. Going back to the roots of love makes for a brave heart that beats in rhythm with the love of God. 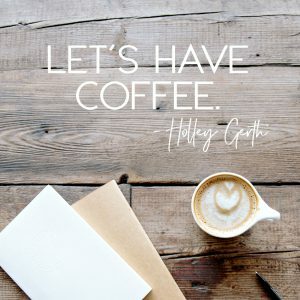 Blessings to you, Holley, in the midst of these busy launch days. A brave heart does not mean a perfect heart. Thank you for this encouraging and powerful thought this morning. Amen to not being perfect. Good thoughts! Our “cracks” let people see everything good in us comes from Jesus, and they also make us more relatable and approachable, I think. “We are all a wild mix of beautiful and broken.” Love this. How wonderful it is to be loved and treasured by God, in all our beauty and brokenness! Oh, yes! Let’s commit to graciously loving each other in spite of our blunders and imperfections–just as God does. Thank you for inspiring grace among us, Holley! Yes. It’s too easy to entangled in the need for images and brands and performances. But God never has needed those; we don’t either. No one is perfect except God. We need to take off the masks & quit pretending. Just be who you are a beloved daughter of Almighty God! This world seems to only love those who “fit the mold”. We as Christians need to break that mold & love everyone no matter what. We should shower His love all over the place.